We’re spending our day today cleaning up some trees that fell over last winter & this past summer on our land. We gave away the last of our wood pile to some friends a couple of weeks ago so we need to replenish our supply for this winter. 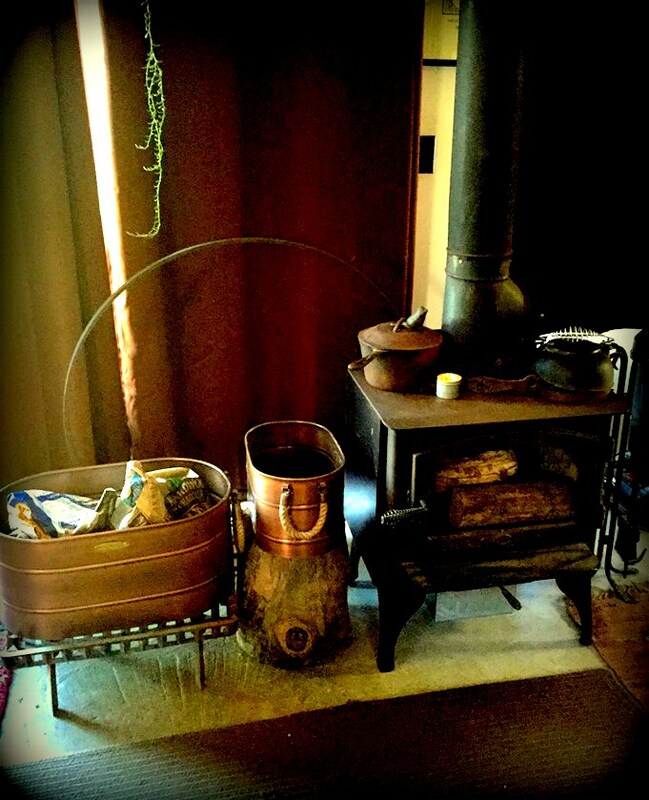 I spent part of yesterday moving all of my plants away from & off of the wood stove & getting the wood holders ready. We recently were able to buy 3 1/2 more acres of timber from our former neighbor who sold their property. Outside of the timber around our property is a lot of agricultural land; mostly corn & bean fields. We’re always worried someone will buy the land that meets our property line and clear out the trees. That is our biggest fear. When the opportunity to purchase the extra few acres arose we jumped at the chance. I love fall. I love it for so many reasons; the cooling weather, the changing leaves, hoodies & bonfires, to name a few. One of the other highlights of fall for me is mushroom hunting. 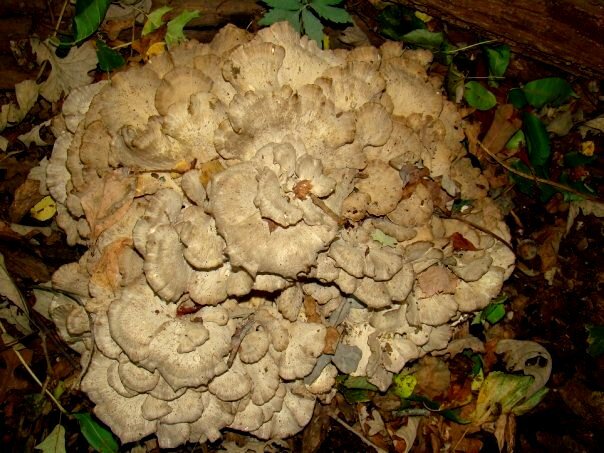 I found my first Hen of the Woods by accident about 6 years ago. 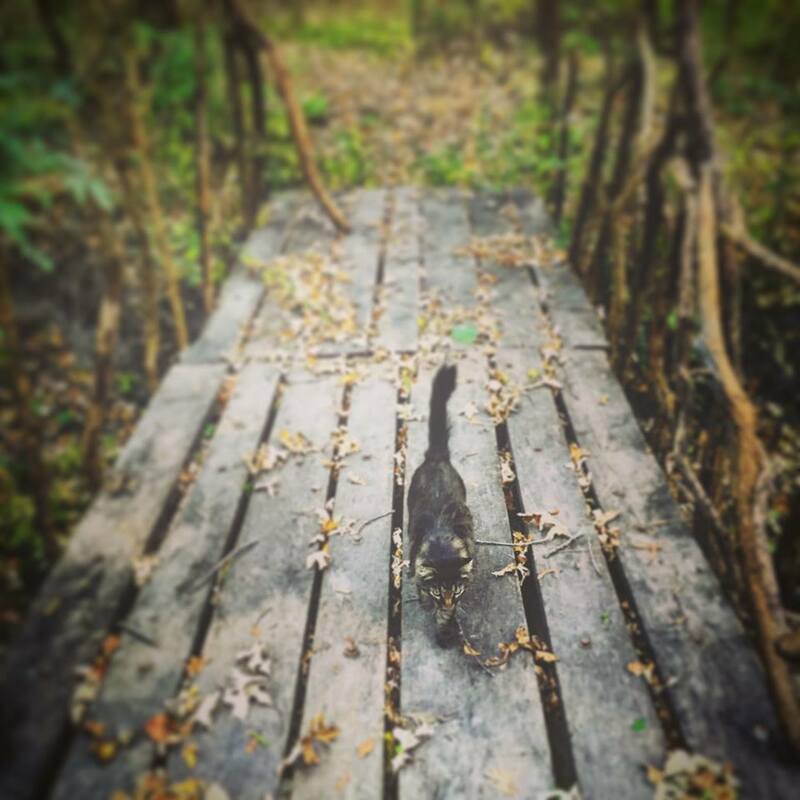 We were still building the cabin and I took the dogs out for a walk. 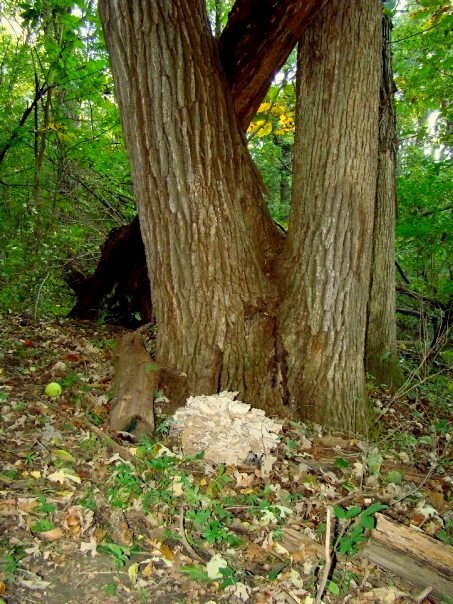 I came upon a giant bouquet of what I guessed to be Hen of the Woods at the base of a huge Oak tree . I had heard of the mushroom but wasn’t positive that was what I was looking at. I have to admit, once I knew what it was I was pretty excited. It’s possible I did dance for joy. 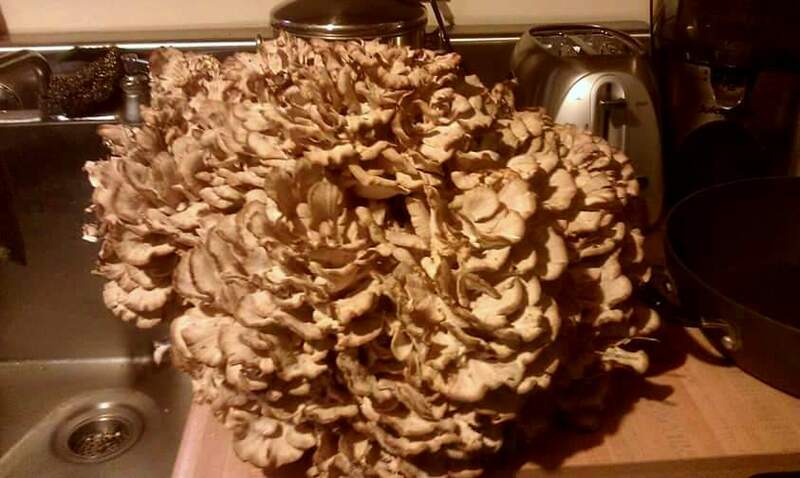 Hen of the Woods is pretty easy to clean. Although it can be pretty time consuming depending on how much of it you have. The first step is to cut off the dirtiest part of the base with a knife. From there you can either cut apart or pull apart some smaller sections to start cleaning. 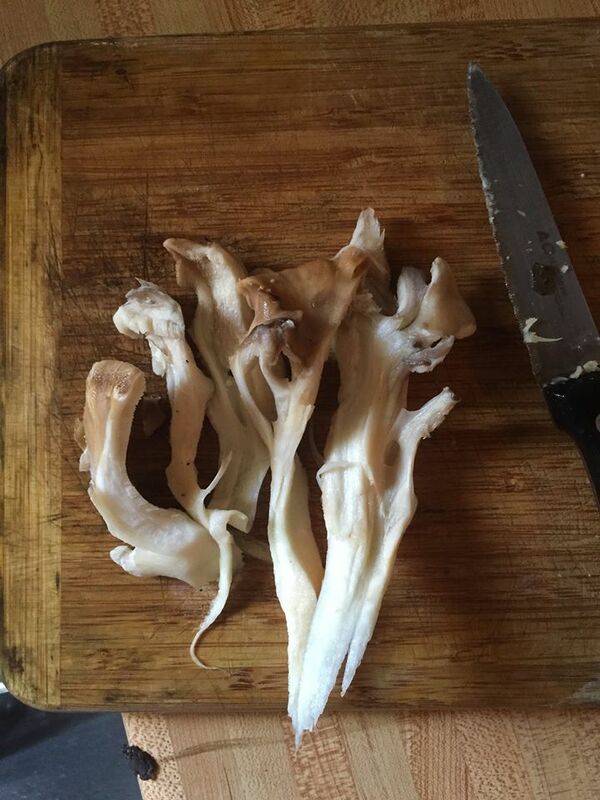 From here, I usually just pull apart small chunks of the mushroom and rinse under the faucet. Make sure to get the dirt off and any bugs that might be on it. Discard any pieces that looks odd. Sometimes I’ll find pieces with a little too much mold on them or that look a little too rotten. I like to keep mine in pieces about this size. After washing them off, pat them dry with a paper towel and put into a plastic bag & leave the top open just enough to get some air in the bag. They will stay fresh in the fridge for about a week. 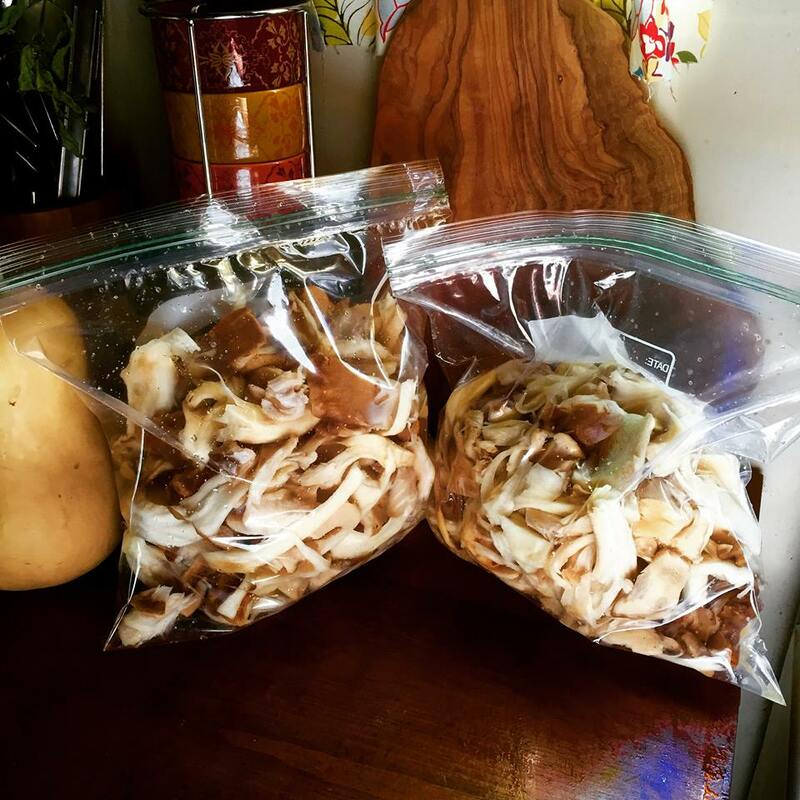 The best part about these mushrooms is that they freeze so well. I still have a baggie of them in my freezer from last fall that will still be good to cook. 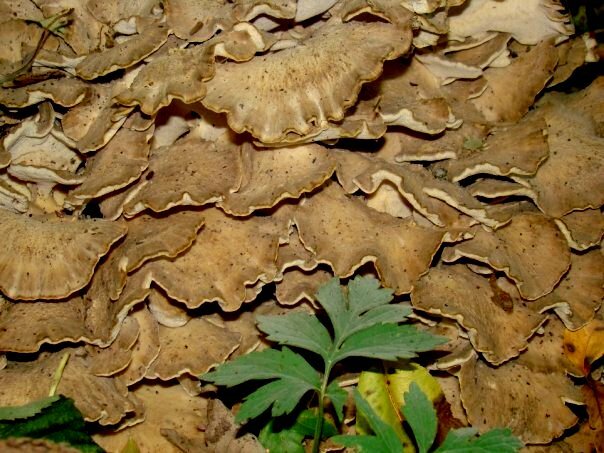 Unfortunately, I haven’t been lucky enough to find any Hen of the Woods this season. Thankfully, one of our good friends did and was nice enough to bring us a huge chunk a couple of nights ago. I cleaned it up and put one bag in the freezer and decided to try some on a pizza tonight. It turned out pretty delicious so I thought I’d share the recipe!